In the year since he was elected, Pope Francis's simple message of mercy, service, and renewal has spread to every corner of the world. Through his gentle demeanor, selfless actions, and welcoming call for service to others, Pope Francis has captured the attention of a world longing for an authentic message of hope--we want to hear what he has to say. 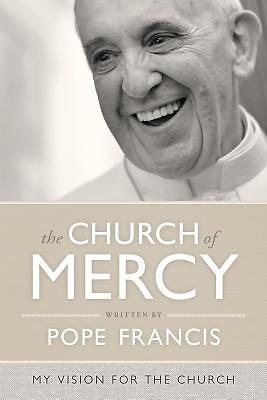 Collected from Pope Francis's speeches, homilies, and papers presented during the first year of his papacy, The Church of Mercy is the first Vatican-authorized book detailing his vision for the Catholic Church. From how to be citizens of the world to answering God's call for evangelization, Pope Francis's deep wisdom reminds us that the Church must move beyond its own walls and joyfully bring God's mercy wherever suffering, division, or injustice exists. Named TIME Magazine's 2013 "Person of the Year," Pope Francis is helping the Church continue toward an authentic Christianity that is faithful to the Gospel and resonant with the world's greatest needs. The Church of Mercy encourages each of us to ignite the flame within to help share the light of Christ and revitalize the Church.